Sometimes when our scholars rejected report in praise of Ahlalbayt, because narrator of such was rafidi, we seen shias raising their voices that this is not fair. However, even shia scholars use to accept reports from innovators in their mazhab, and reject them if reports was supportive for those innovators. Waqifiyah was a mazhab amongst shias, which emerged long time ago, and they didn’t believe in all 12 Imams as modern shias do. Along (with fact that) some narrators of this reports were from Waqifiyah, and they reports are not accepted if they in line with their mazhab. So as it obvious shia muhadith accepted reports of innovators, and refused to accept them if that reports were ammo for their mazhab. 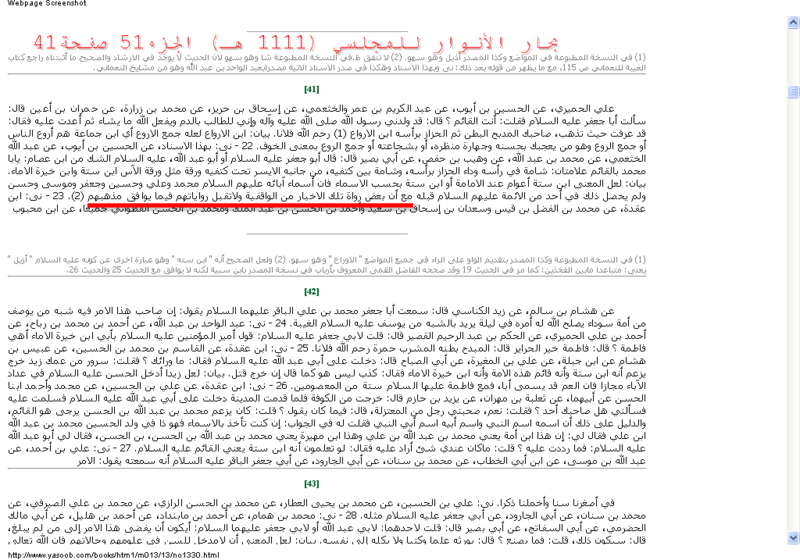 This entry was posted in Defence of Sunnah, Ilm Al-Hadith and Rijal of Shias, Refuting Shia doubts by Gift2Shias. Bookmark the permalink. I don’t see why there is an issue here. Al-Majlisi isn’t the first one to mention this. This rule can be see by al-Toosi in his al-‘Uddah. If the narration by the narrator who is not 12’er, and it goes in line with his Madhhab or goes against our saheeh hadeeth have to be rejected. Alaikuma salam.You can’t see issue after years which you spend at shia forum and shia books which you read? You didn’t see shia attacking our scholars, which rejected some reports of rafidah in praise of ahlalbayt?